It’s been seven years since Nellie Miller stepped into the Thomas Mack Center as an National Finals Rodeo competitor. 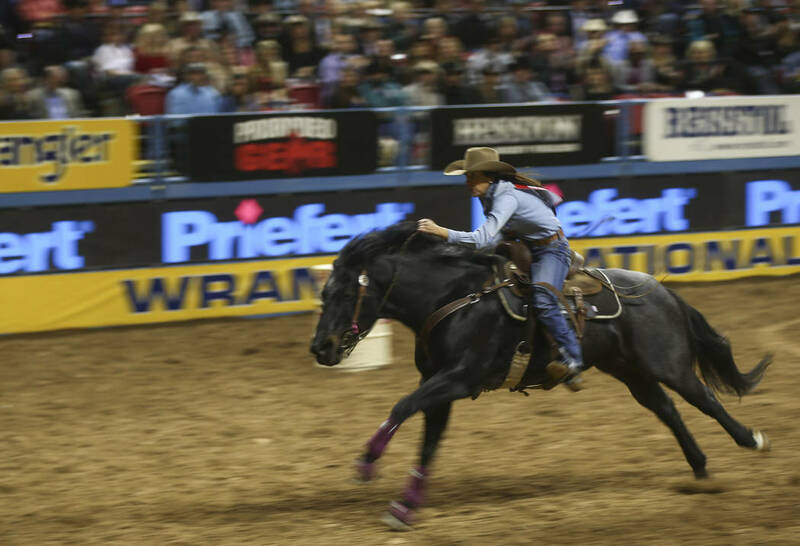 It’s been seven years since Nellie Miller stepped into the Thomas & Mack Center as an National Finals Rodeo competitor. And a lot has changed since then for the Cottonwood, California, resident, who is now married with two little girls, Payton and Hadley. Miller, 29, took some time off but by the time she was ready to return to action, her mare, Sister — now nine — was ready, too. 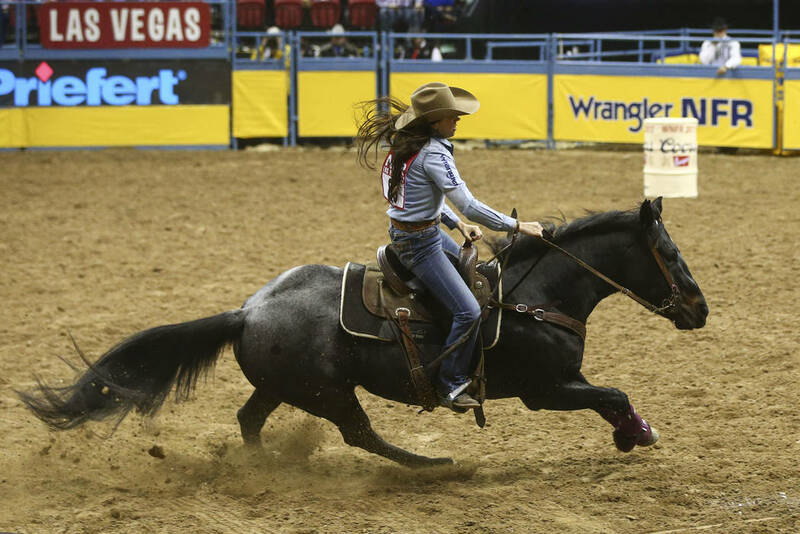 Thursday, the barrel racer, who attended UNLV for two years, was back on familiar turf at the Thomas & Mack Center competing in the NFR once again. 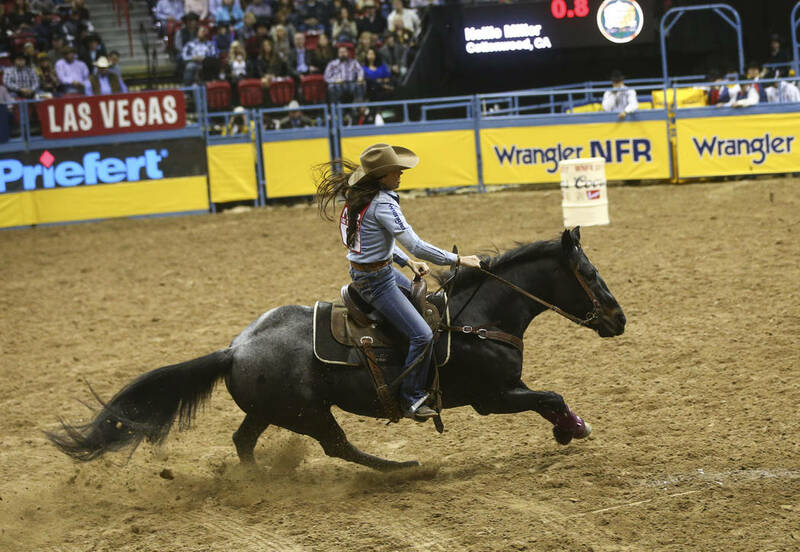 Las Vegas was good to Miller on Thursday night as she won the first go-round with a time of 13.64 seconds. 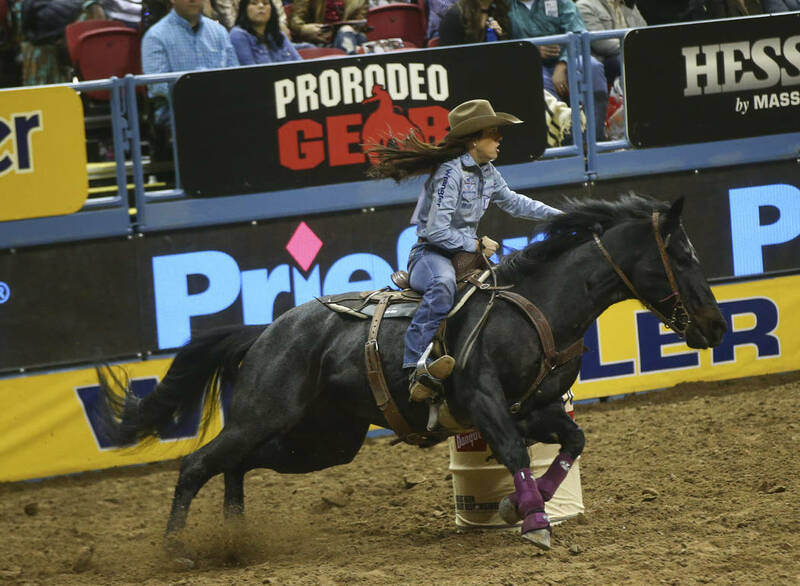 She is currently third in the barrel racing standings and finished in fourth place in Friday’s go-round to bring her total earnings to $177,767.52 this season. It was about seven years of build up for Miller, who grew up in a rodeo family and started competing as a youngster. 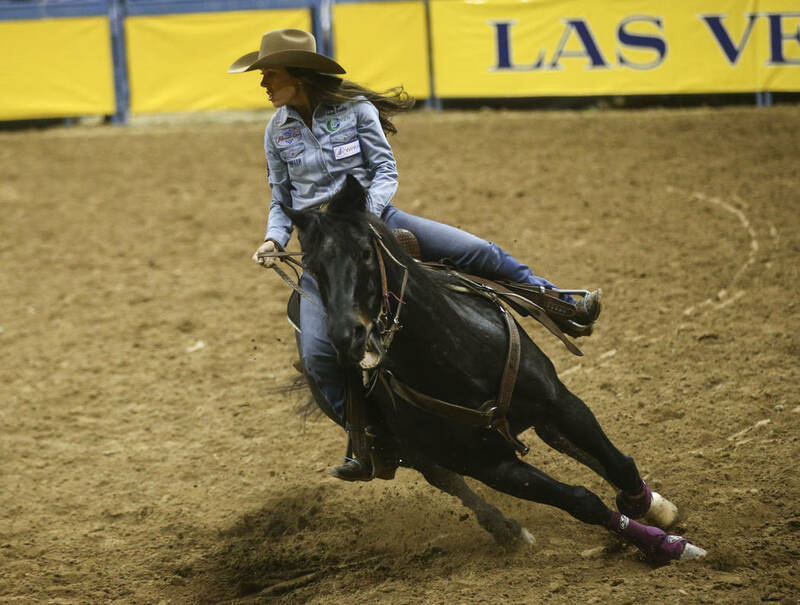 She attended UNLV for two years, but her college experience was anything but ordinary, as she competed in rodeo both on the collegiate team and professionally. “Pretty busy,” as in Miller was driving out to a different rodeo nearly every weekend. 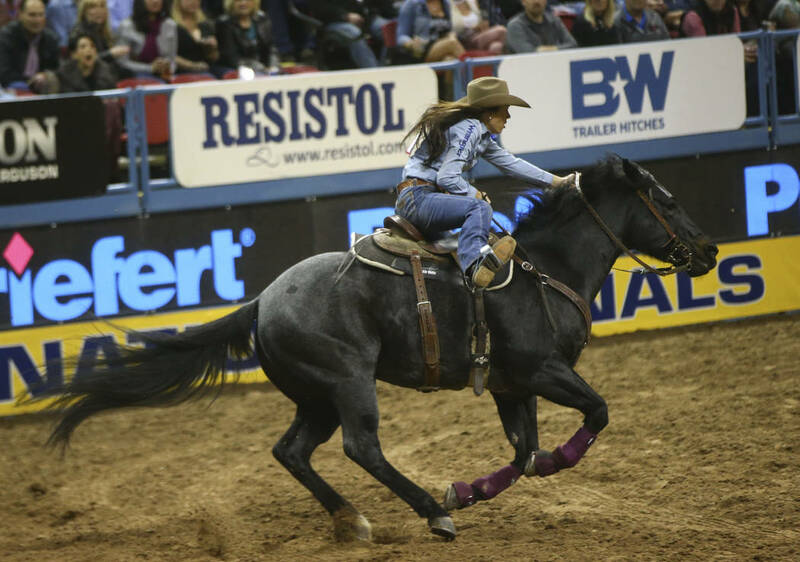 In 2010, she qualified for her first NFR with her horse, Blue Duck. She finished the season ranked No. 11 overall. But for much of the next few years she took time off to begin her family. In the meantime, her dad, Sam Williams, worked with Sister, Blue Duck’s half-sister. Last year, Miller finished 19th, missing out on the NFR, but this year, things have gone extremely well. She won three separate rodeos and placed second in a few others, including the Calgary Stampede. “There were some challenges, but everything’s worked out now, and it feels like second nature again,” Miller said. Juggling family responsibilities — nurturing two children — and a time-consuming career has been tricky, but her mother Roxy Williams, travels along much of the time to help with the kids.